Click the Set Machine Type item in the action button, and a data setting dialog will pop up. As the above image shows, the electrical designer can modify the machine type and qualifier of rotating symbol. Other rotating symbols are smart and can be adjusted, too. 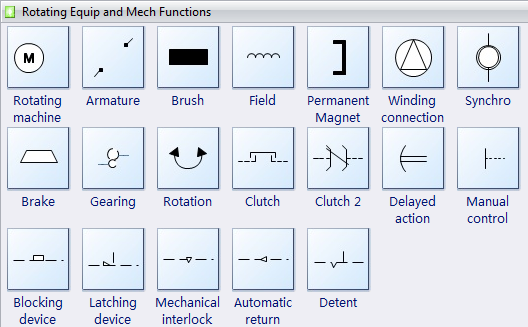 In our Industrial Control System Diagram Software, you can use the action button to choose the right electrical symbols with only one simple click.